Concealed carry reciprocity would require concealed handgun licenses to be honored in all 50 states -- just like driver’s licenses. Permit holders would still have to obey the laws of the states that they travel in. Reciprocity already exists in most of the country. The average state allows permit holders from 32 other states to travel freely. Eighteen states (including Ohio, Indiana, and Virginia) honor permits from either 48 or 49 other states. This policy hasn't caused any problems. Not surprisingly, a 2016 survey of the National Association of Chiefs of Police found 86% support for nationwide reciprocity. When a woman drives across the country by herself, should she be able to carry her permitted concealed handgun for protection? Should a truck driver be able to protect his valuable cargo? Concealed carry makes people safer. Gun control advocates warned Minnesotans that right-to-carry laws would lead to disaster. But permit holders have turned out to be extremely law-abiding. Seven percent of Minnesota adults have concealed handgun permits, and from 2010 to 2015 not a single permit holder was convicted of any type of assault. The experience has been no different with permit holders who have out-of-state licenses. 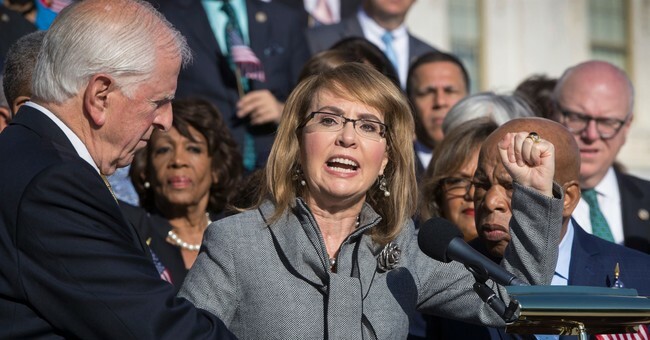 The Giffords ad also accuses Lewis of voting to “roll back restrictions on gun purchases by those deemed mentally unfit.” But under new Obama administration rules, some 4.2 million Social Security recipients were almost banned from owning guns simply because they had trouble managing their finances. This constitutes about 10 percent of all people 65 and older. But it’s not clear what finances have to do with a person's right to defend himself. Women and senior citizens stand to benefit the most from owning a gun because they are unlikely to be as strong as an assailant. Do Minnesotans really want a radical congresswoman who really thinks that people who get help with their finances are mentally ill? The Gifford’s PAC ad calls Lewis a “Washington Politician,” but he is anything but a career politician. He only got to Washington last year at the age of 61, and had never held political office. Before that, he hosted a popular radio show for 20 years. It’s pretty shameless when the first sentence in an ad goes against the obvious facts. The rest of the ad goes downhill from there.